Although Constance Fenimore Woolson was born in New Hampshire in 1840, she soon became a child of the frontier, and it would be frontiers that shaped her personal and professional lives until she died in Venice, Italy, in 1894. 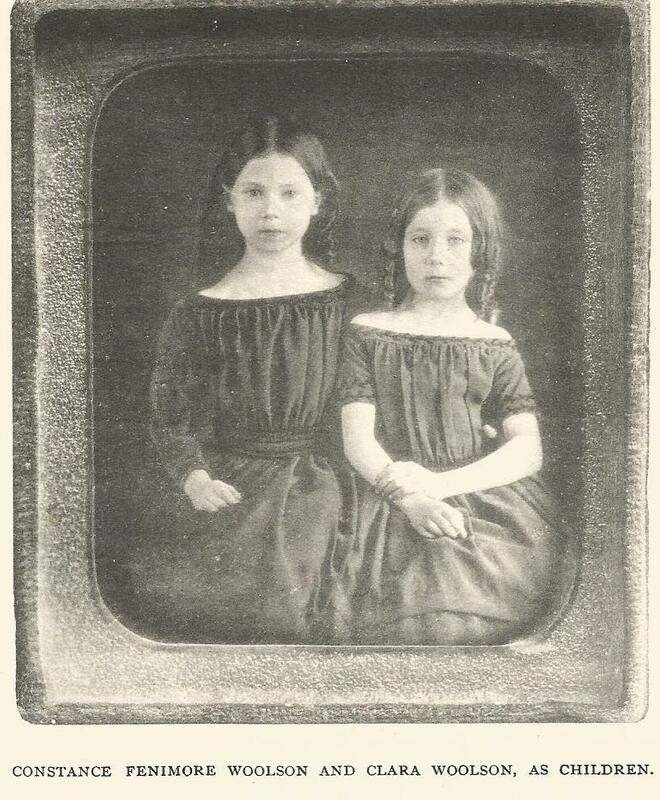 After the deaths of three of her sisters from scarlet fever shortly after her birth, Woolson’s family moved to Cleveland, Ohio, to start over, as did many New Englanders in the mid-nineteenth century. She grew up in what was then known as the West, watching the Old Northwest Territories (the Great Lakes) become the industrial heart of the United States. She would lament the destruction of much of her hometown, which she saw transformed from the “Forest City” to the headquarters of Standard Oil. Woolson would set her early fiction, poetry, and travel narratives on that frontier, then move to the South after the Civil War to explore another borderland with different cultural conflicts. Later, she shifted the focus of her work to Europe where, like her friend Henry James, she scrutinized the newly wealthy American expatriate communities on the Continent. Although her work can be divided into three periods that correspond with the three regions she described, several themes informed her writing from the outset: the role of the deeply committed artist in a market-driven economy, the restrictions of gender conventions, the sacrifices women are called upon to make for the sake of love and duty, environmental destruction and the beauty of nature, the complexities of race, class conflicts, and the shallowness that sometimes accompanies wealth. Perhaps the most enduring theme of her fiction was the striving of the artist toward creative fulfillment. 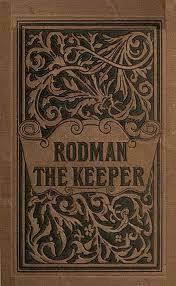 We see it as early as “Solomon” (1873) and as late as “In Sloane Street” (1892). In many of these works we see the tensions between devotion to art and economic necessity that governed Woolson’s life and work and that are an indication of how high she reached in her search for literary recognition. She was not content, as were most of her female contemporaries, to secure temporary fame or merely financial rewards. She hoped to achieve what no female American writer had yet accomplished—serious recognition as a significant American artist. Woolson’s ambition was suspect in a century that valorized domesticity above all else for women, yet she insisted on a realistic portrayal of women’s lives and did not shy away from controversial subjects. She was attuned to the pressures of forbidden desire and included in her story “Felipa” (1876) one of the earliest portrayals of desire between women. Her later novel Jupiter Lights (1889) describes not only a complex friendship between two women but foregrounds domestic abuse as well, a rare and early treatment of that subject. She followed in the footsteps of her favorite writer, George Eliot, in her refusal to shy away from the ugly facts, yet she also leaned in the direction of the later naturalists in her depiction of the tyranny of love and the way it controlled women’s lives. Her career coincided with the birth and maturation of American realism, a movement typically gendered male. Although her significant contributions to it have not gone unnoticed by literary scholars, they deserve wider recognition today. Woolson should be more widely known, not as an acolyte of Henry James or a precursor to Edith Wharton, but in her own right as a pioneer American realist. Woolson began to write after the death of her father in 1869 left her and her mother uncertain about their economic future. The rapidity with which Woolson’s publications appeared suggest that she had been writing for many years but was apparently happy to remain an amateur until necessity pushed her forward. She had little trouble establishing herself in the literary world, often inhospitable to female novices. As the grandniece of James Fenimore Cooper, she was able to capitalize on her middle name and gain the attention of top-notch publishers who quickly realized the strength of her talents. She placed her earliest writing, short stories and travel narratives, in Harper’s New Monthly Magazine and Appletons’ Journal. While she wrote some early stories that were much like other sentimental sketches popular at the time, soon after she began writing for publication two forces converged that would affect her career. First, Woolson decided to become a serious realist rather than a genteel storyteller. Second, the national market for fiction changed from pre-Civil War sentimental fiction to a form of realism known as “local color” that was being championed by William Dean Howells, the influential editor of The Atlantic Monthly. Drawing on her youthful observations of the Great Lakes, Woolson crafted some of the first and finest realistic fiction of that frontier. She daringly rewrote Bret Harte’s wildly popular “Luck of the Roaring Camp” in “The Lady of Little Fishing” (1874) and satirically examined women’s places on the frontier in “Mission Endeavor” (1876), which Woolson never collected, undoubtedly because of its subversive heroine and its negative portrait of men. But other stories that had offended readers she insisted on including in Castle Nowhere: Lake Country Sketches, such as “Peter The Parson” (1874), the brutally realistic ending of which shocked readers, who expected the typical sentimental marriage. Woolson’s fiction also explored gender conventions in innovative and challenging ways. She was one of the earliest women writers to write from a male perspective. Stories such as “St. Clair Flats” (1873), “Castle Nowhere” (1875), and “Sister St. Luke” (1877) are told by first-person male narrators, privileged white men whose understanding of women is limited. As in her stories that foreground race and regional difference, these stories subvert the narrator’s perspective, allowing the female characters to upend their expectations about how women should feel or behave. Woolson was acutely sensitive to how societal expectations prevented women from expressing their true feelings or acting on their desires. Woolson worked with her Great Lakes materials until the mid-1870s, setting her stories in increasingly more northern places and making them more bleakly realistic until she reached the literal and metaphorical end of her materials in the Apostle Islands in western Lake Superior. Although both her stories and travel narratives were written for sophisticated literary magazines that catered to an educated and often prosperous middle class, Woolson’s risky experiments with realism were still courageous. But because she was self-supporting, she also wrote stories, travel narratives, and poetry that would appeal to all the readers in her audience. 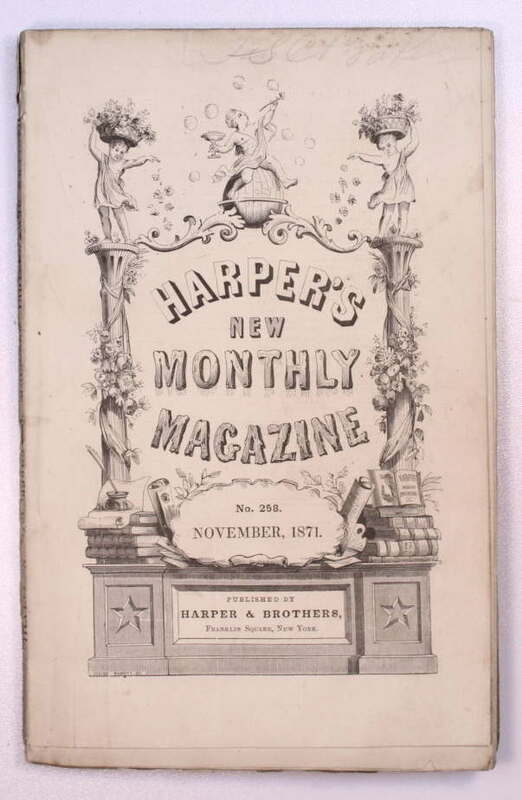 Thus, her work ranged from deliberately charming travel narratives such as “American Cities: Detroit” (1872), which described Detroit as it had not been in a hundred years but which her readers preferred to the contemporary reality, to broadly humorous satires such as “Round By Propeller” (1872) for Harper’s that mocked the Great Lakes travelers she described, mocked its readers, and left no questions about what Woolson thought of the industrial transformation of the once-pristine lakes. As she would throughout her career, she constantly pushed at the limits of what was acceptable for a writer, and a woman, to publish. In 1873, Woolson moved with her invalid mother to St. Augustine, Florida. This small city had been colonized by Spain in the seventeenth century, the same period that the Great Lakes were being colonized by the French. Once again Woolson found herself on a frontier, a borderland between cultures. This time, however, the cultural issues were not industrialization and conflicts with indigenous populations, but the Reconstruction South and its explosive racial issues. Even as she completed her narratives of the Great Lakes, Woolson began to catalog the conflicted territories being negotiated between the traditions of the Old South just destroyed and those of the New South being born, including tourists from the North. Once again she was a pioneer, not only because she wrote the first Reconstruction fiction by a northerner after the Civil War, but also because she early articulated cultural tensions that would not be resolved even in the twentieth century. The tense climate of the post-Reconstruction United Sates made it difficult for Woolson to write about controversial issues such as race and reconciliation. One of the Harper brothers specifically told her in 1876 that she should stop writing about the war. Some scholars believe that Woolson responded by developing a method of encoding elaborate subtexts in her work. Thus, while her novella For the Major (1883) appears to be about the relationship between a woman and her elderly husband in a small southern community, the subtext is devoted to detailed references to slavery and racial passing. 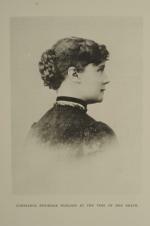 After her mother’s death in 1879, Woolson was finally free to travel to Europe, which she had longed to do since she was a child. She would spend the rest of her life there, alternating between England and Italy and journeying to cosmopolitan spas and tourist destinations in France, Switzerland, and Germany, all the while observing and recording the vagaries of the American expatriate communities there. After perfecting her craft analyzing the Great Lakes frontier and the Reconstruction South, Woolson had a prescient eye for the conflicts arising in transitional cultures, and Americans abroad offered her a new cultural geography to explore in local color fiction. Unimpressed by wealth and social position, and becoming increasingly frustrated by the condescension women artists were forced to endure, Woolson began the third and last period of her career with her most anthologized story, “‘Miss Grief’” (1880). This story of a failed woman writer encapsulated the frustrations she felt as male writers, such as Henry James (whom she was soon to meet), garnered more serious, but not necessarily more deserved, attention. Seldom out of print since its publication in 1880, “‘Miss Grief’” is a tour-de-force rendering of the status of women of genius in the late nineteenth century and the failure of powerful male literary figures, such as James and Howells, to recognize women’s brilliance and potential. No short story by any contemporary of Woolson expresses so well the double bind of the woman artist, which explains its continuing popularity. Did Woolson find that James was more supportive of women writers than she had imagined? We may never know because, although they wrote to each other for many years, they destroyed their correspondence. However, it is certain that the two writers became confidants and very close friends who relied on each other in the absence of family members while they were abroad. Careful study of Woolson’s work also suggests she was frequently the first to venture forms and subjects that James later adapted in his fiction. Clearly the influence and affection between these two writers was mutual. By the time Woolson moved to Europe, she had begun to concentrate on writing novels, but she found the form of the realistic novel rather inhospitable to her aims. As the novel became more analytical, she held fast to her preference for drama and action in novels that made their readers feel deeply. Like her first, best-selling novel Anne (1882), Woolson’s later novels are deeply emotional, leading at times to charges of melodrama. Yet we must consider that the critical preferences of the twentieth century have clouded perceptions of her work, which were judged powerful by her contemporaries and remind one today more of the intensity of classic Hollywood films than the coolly analytical mode we associate with seemingly timeless literary fiction. Perhaps the most enduring theme of her novels—the painful loss or sacrifice of love—hearkens back to the Brontë sisters more than it points forward to Edith Wharton or Willa Cather. Yet she paved the way for her successors by writing realistic novels that garnered her not only critical attention but the devotion of readers. She set a standard for critical and popular success that few in her day or since have been able to achieve. Even while laboring on her novels, Woolson continued to produce short stories and travel narratives, and as before, these are her most polished work, produced by an artist sure of her medium. 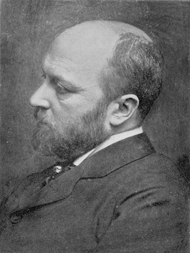 Woolson’s European texts, many written during the complacent Gilded Age, often critiqued Americans’ willful ignorance about what was already an international world. Her writings also offer a disturbing foreshadowing of the self-satisfied imperialism that would mark American attitudes before World War I. In “Dorothy” (1892) for instance, Woolson critiques not only the ignorance of doctors about the relationship between grief/depression and physical illness, but also British and American imperialism in Egypt, which she had visited in 1890, staying for three months on her own in Cairo. Because Woolson trained herself to be unsparing in her critique of the Great Lakes frontier, one of the first frontiers of Euro-Americans on the continent, it is not surprising that she was able to elucidate the problems of all the other nineteenth-century frontiers she observed: racial relations, the land and environment, business and industry, and American consumption of cultures and places. She watched the country change from frontier agrarianism to industry, and a collection of local cultures to an international one. She observed Americans making the same mistakes, on Lake Superior or in Venice: failure of love and trust, condescension, sexism, racism, and hatred. Even as her early work set on the Great Lakes looks back with nostalgia to a mythical frontier, her final stories look forward to an international one Americans were ill-prepared to understand or accept.